Due to your involvement in veterinary medicine and animal welfare, we value your input. 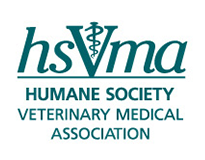 As a veterinary medical professional, HSVMA would appreciate your participation in our strategic planning initiative that will help define HSVMA’s goals and priorities for the next five years. HSVMA is celebrating 10 years of veterinary leadership in animal welfare. Your feedback on this survey will help shape HSVMA’s leadership role moving forward. Please take 10-15 minutes to complete the online survey by Dec. 7th using the link below. Respondents have the option to select a gift from HSVMA. These include a free download of the HSVMA Wildlife Care Handbook, a free job posting to our Career Center, or free access to a RACE-approved webinar on lower-cost treatment of common medical conditions in cats and dogs. Thanks in advance for your time and participation. If you have any questions, please email [email protected].